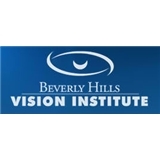 Beverly Hills Institute of Ophthalmology (Beverly Hills) - Book Appointment Online! Welcome to the office of Beverly Hills Institute of Ophthalmology, a leader in comprehensive eye care in Beverly Hills, California. Your vision is our No. 1 priority, and we strive to provide top-notch ophthalmologic care in a comfortable, professional atmosphere. The Beverly Hills Vision Institute, located in Beverly Hills, CA, provides ophthalmic care for the entire family, whether it's routine vision correction or surgical intervention. Under the direction of A. James Khodabakhsh, M.D., Medical Director, BHIO serves patients from surrounding communities, as well as those from other states and countries. Our beautifully decorated, modern facility gives patients a comfortable, yet most efficient environment in which to receive treatment. Dr. Khodabakhsh specializes in state-of-the-art refractive cataract surgery, innovative LASIK/LASEK vision correction, glaucoma and more.